Brihadeshwarar Temple is the first building fully built by granite and finished within 5 years[1004AD-1009AD]. The Temple "testify to the brilliant achievements of the Chola in architecture, sculpture, painting and bronze casting". The Brihadiswarar Temple is one of the rare temples which has idols for "Ashta-dikpaalakas" (Guardians of the directions). Only granite was used to make the entire temple structure. It is believed that about 130,000 tons of granite was used to construct the Brihadeeswara Temple. Brihadeshwarar Temple is the tallest in the world. 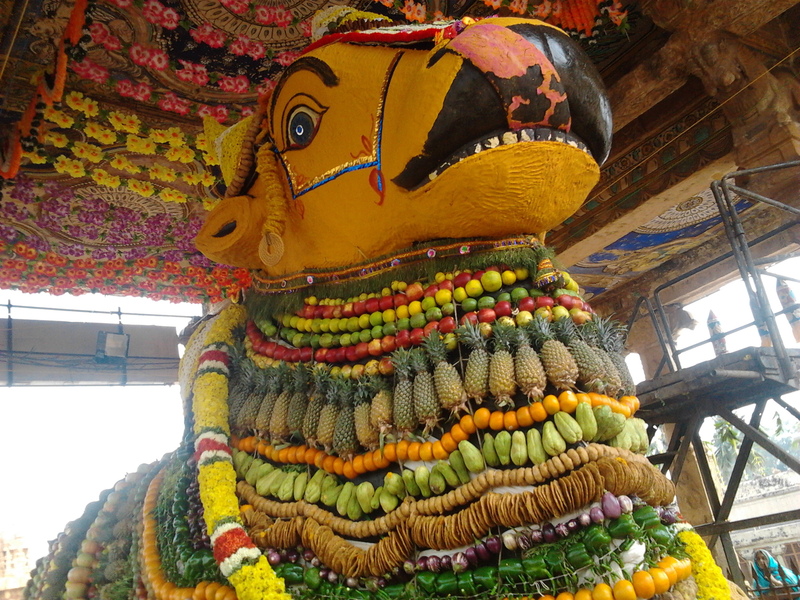 Just at the entrance of the temple, there is a large statue of Nandi. The topmost structure of the Temple known as "Kumbam" is also carved out of a single granite stone. The entire temple is built on the rules of axial and symmetrical geometry, displaying an engineering marvel of that time. The Temple maintained a staff of 1000 people in various capacities with 400 being temple dancers. Besides the Brahmin priests, these included record-keepers, musicians, scholars, and craftsman of every type as well as housekeeping staff. In those days the temple was a hub of business activities for the flower, milk, oil, and ghee merchants. 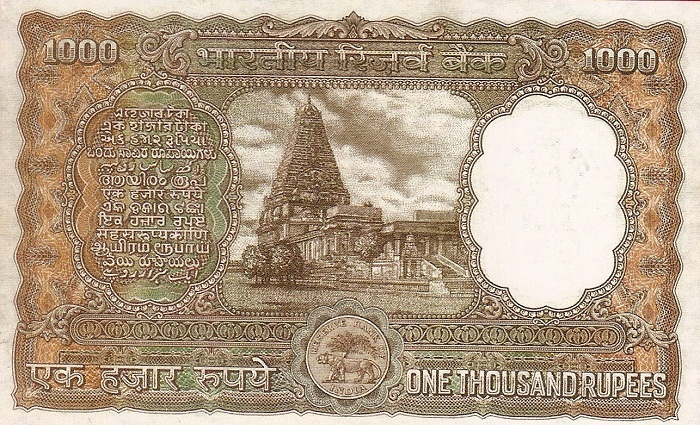 In April 1954, (much before the millennium celebrations in 2010), the Reserve Bank of India (RBI) had issued a 1000 rupees currency note featuring the Brihadeeswara temple recognizing its cultural heritage, (this note was subsequently demonetized in 1975 along with other higher denomination currency notes). Brihadeshwara Temple is located in the city of Thanjavur in Tamil nadu. Brihadeshwarar Temple was dedicated to Lord Shiva. Important festival in this Brihadeshwarar Temple was Maha Sivarathri. Brihadeshwarar Temple was also known as "Peruvudaiyar Temple". 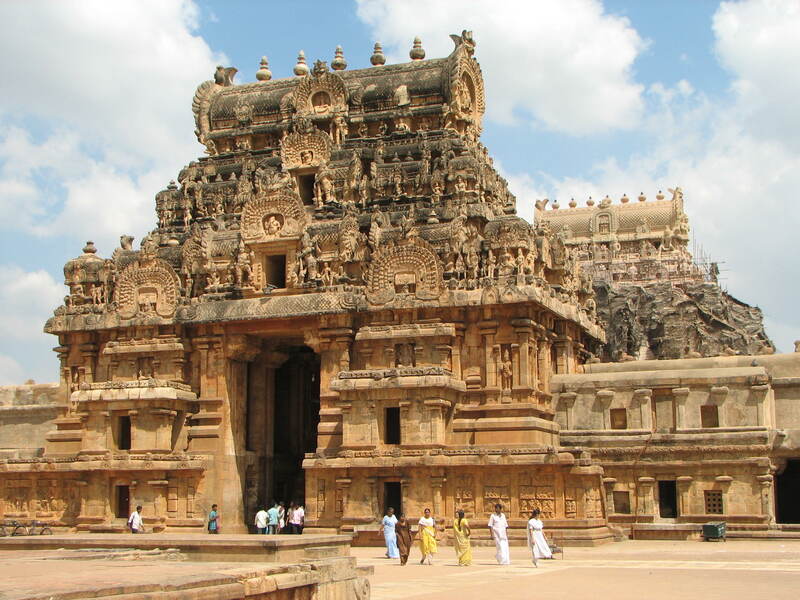 Brihadeshwarar Temple is one of the largest temples of India and built built by emperor Raja Raja Chola. Peruvudaiyar temple also popularly known as "Big Temple". In ancient days, Thanjavur (British Tanjore), "the rice bowl of Tamil Nadu" was the favored capital of the Chola Empire from the times of Vijayalaya in 850 A.D. till the decline of the Chola Empire in 1279. Under the Cholas, Thanjavur thrived as a center for Architectural marvels as well as for Arts and Crafts, particularly, bronze sculpture and painting. Naturally, it goes without saying that many temples were built by them and all of them are fine examples of South Indian Temple Architecture. 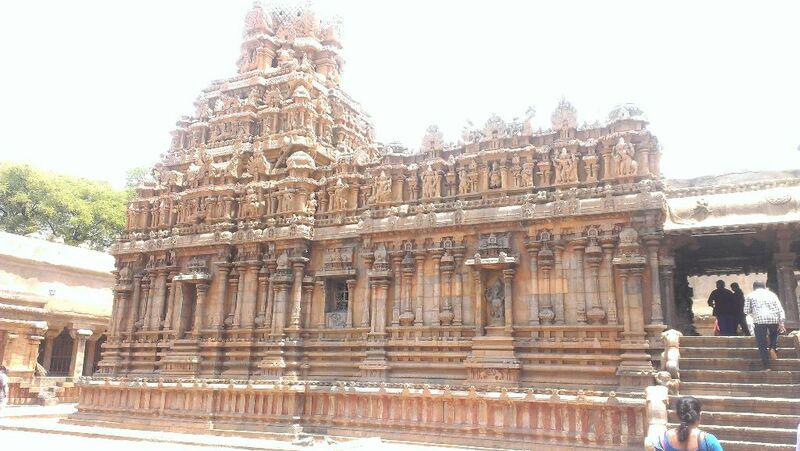 In 1002 A.D. the Chola Emperor Rajaraja Chola I (also known as the Emperor Arulmozhivarman) laid the foundation of the "Brihadeeswarar Temple"or "Big Temple", at Thanjavur. It is said that the Emperor conceived the idea to build this temple, because he had been instructed to do so by the main deity, in one of his dreams. Accordingly, it was designated as the Royal Temple, where major royal ceremonies such as anointing the emperor and linking him with its deity, Shiva, were held. This architectural masterpiece has been designated as UNESCO World Heritage Site. Brihadeshwarar Temple is one of the most beautiful architectural sites in India. The entire temple is built on the rules of axial and symmetrical geometry, displaying an engineering marvel of that time. 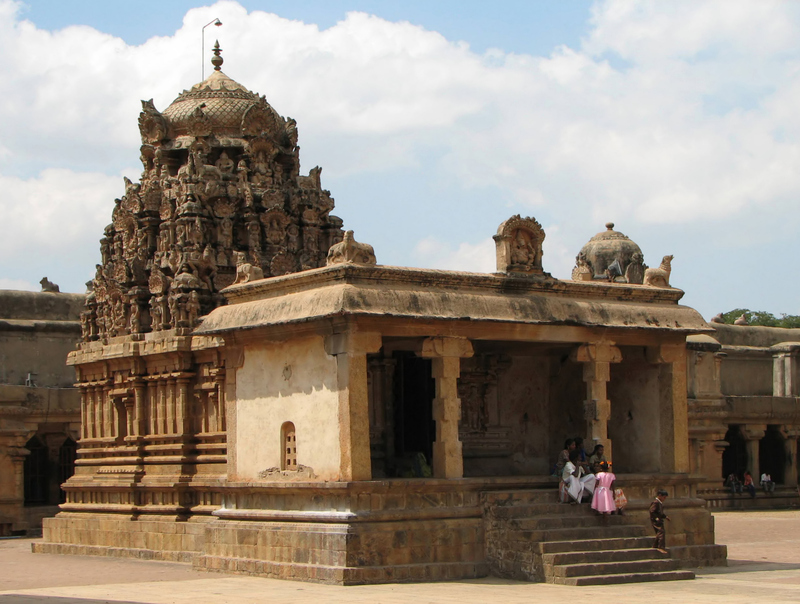 Brihadeshwarar Temple was also popularly known as the "Rajarajeshwarar Temple". The Brihadeshwarar Temple was built to be the royal temple to display the emperor's vision of his power and his relationship to the universal order.